In honor of Cinco De Mayo I find it only necessary to share with you one of our very favorite “Mexican” recipes. Grilled Chicken Fajitas. Your belly will think they are as beautiful as your eyes do, friends. Smokey, charred, savory chicken loaded with herbs and spices paired with slightly crisp peppers and onions equal magic on my tastebuds. I absolutely love fajitas in most ways, shapes and forms but this recipe just simply never gets old. Company will completely appreciate it. And don’t you for one second forget about the sour cream topping. Do you ever wonder how places like Chipotle get that to-die-for, more saucy than thick sour cream to drizzle on your goods? Im crazy for it…and below is how we make it at home. So simple but dy-no-mite. So grab your margaritas and get in that kitchen…these are a top notch way to celebrate! 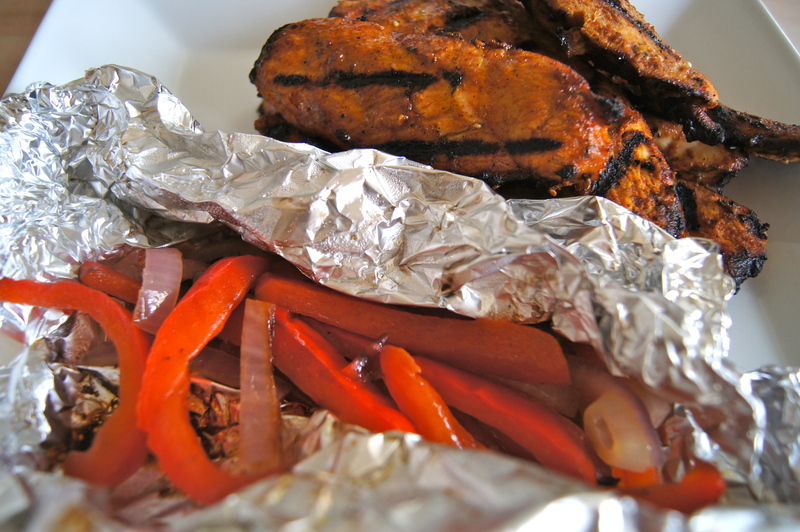 round up and drizzle your peppers and onions..
Out of the ballpark chicken. So good. SO SO good. 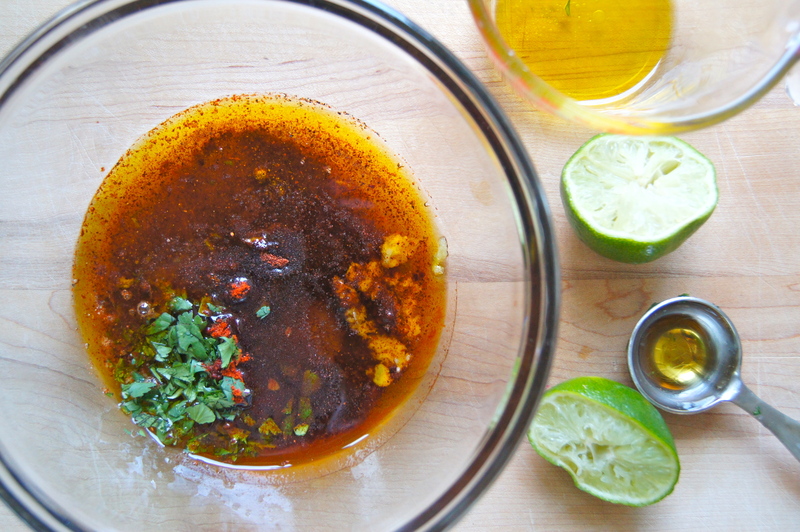 Whisk all the marinade ingredients together in a medium bowl until well combined. 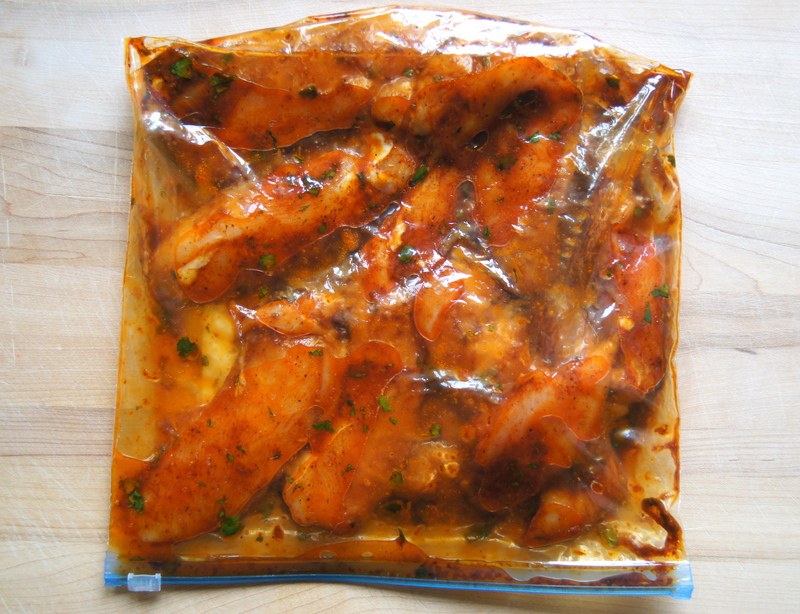 Pour the marinade into a plastic bag, add the chicken, seal the bag (be sure to let all the air out) and use your hands to rub the chicken around and coat it thoroughly in the marinade. 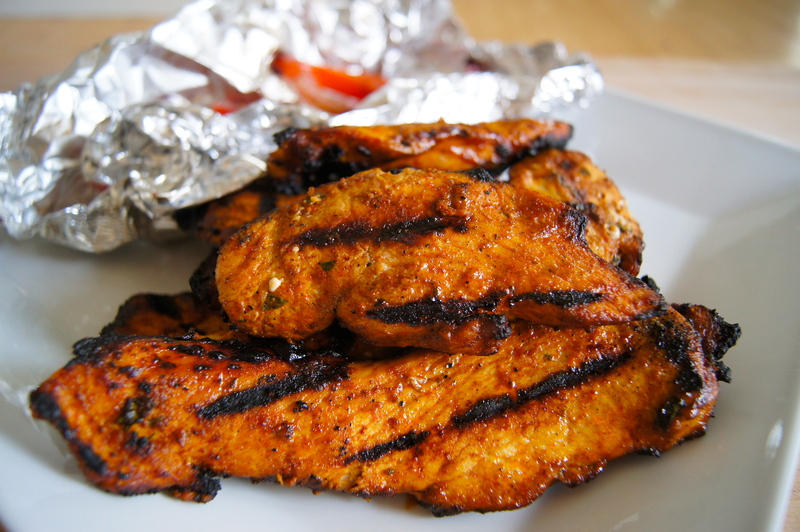 Place in the fridge and marinate for 4-8 hours. 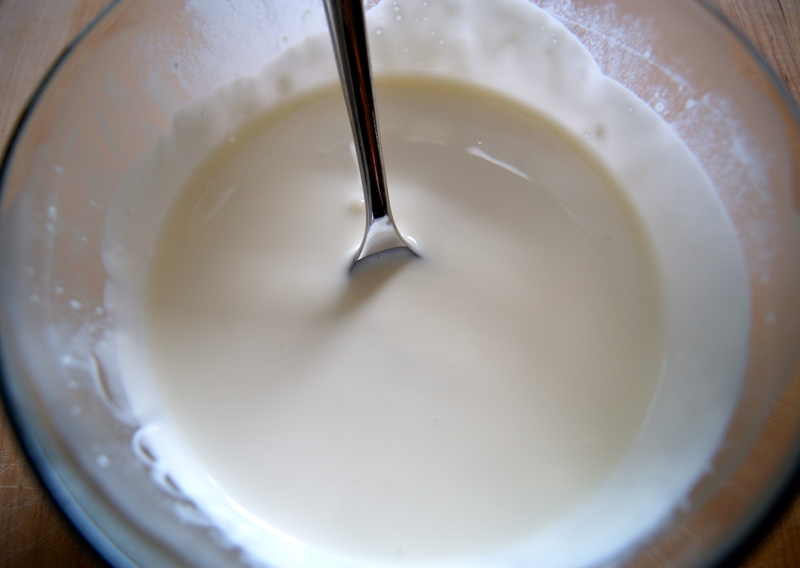 Whisk the sour cream, heavy cream and salt together in a medium sized bowl. 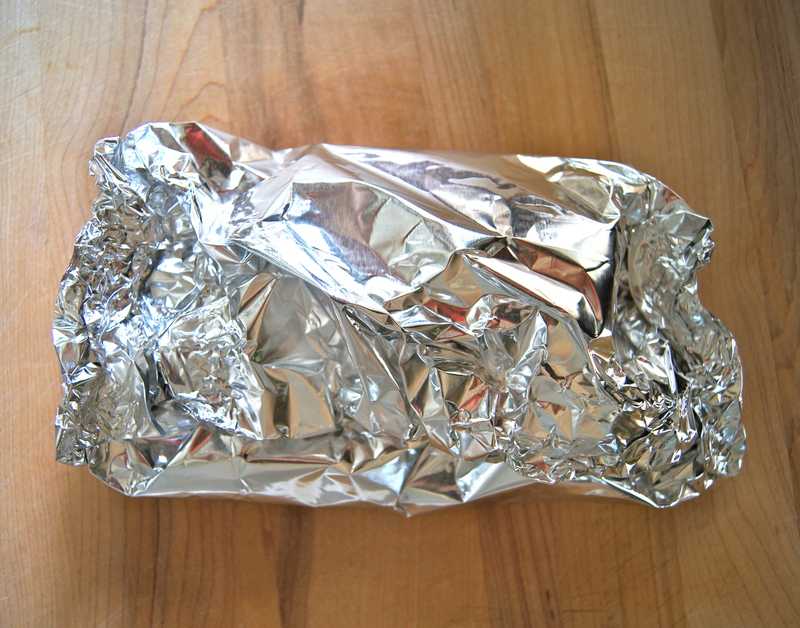 Cover with plastic wrap and let sit 30 minutes-1 1/2 hours at room temperature. Preheat grill over medium high heat. 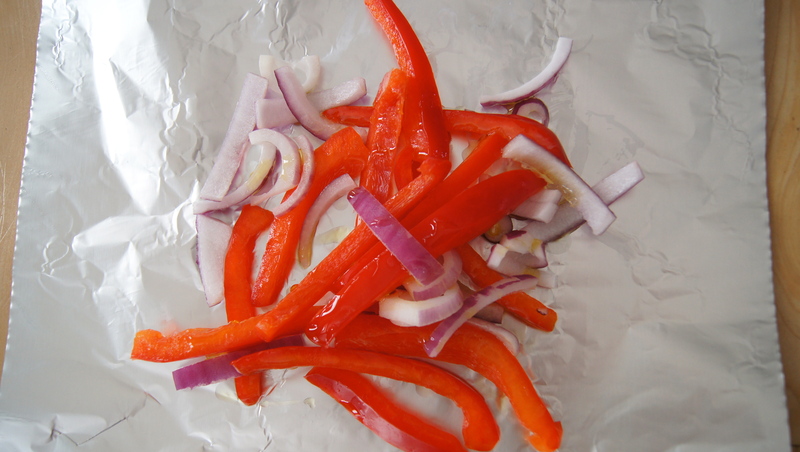 Place peppers and onions on a sheet of foil, drizzle with 1 tablespoon olive oil, fold the foil up and seal the ends. 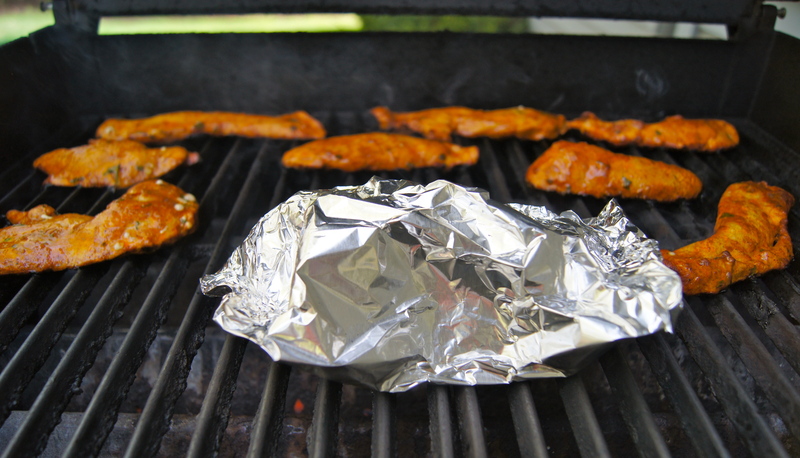 Place the chicken and pepper/onion foil packet on the grill. Cook, covered, flipping the chicken once halfway through, 10-12 minutes or until the chicken is cooked through and slightly charred on the outsides. 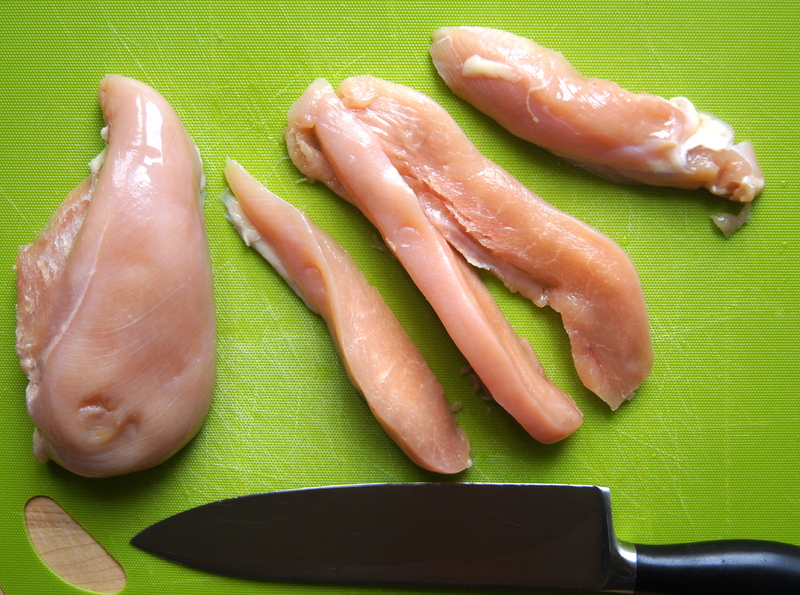 Remove chicken and foil packet. 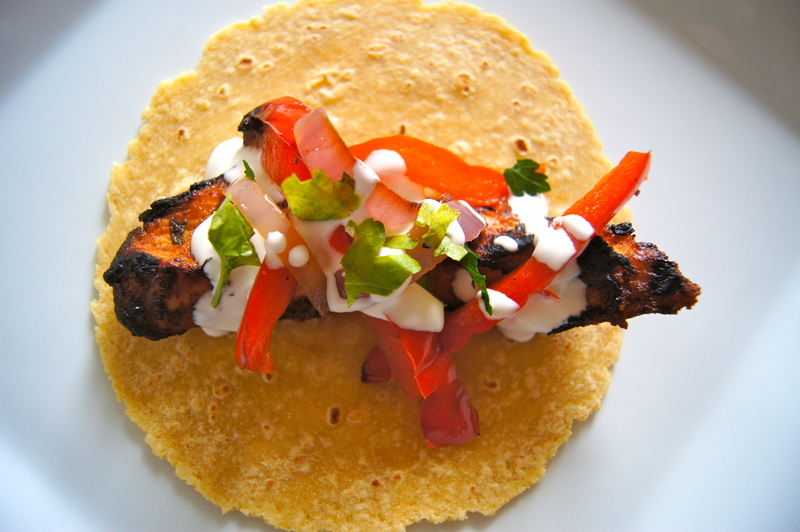 Place chicken, peppers and onions on a tortilla, drizzle with sour cream sauce and serve.